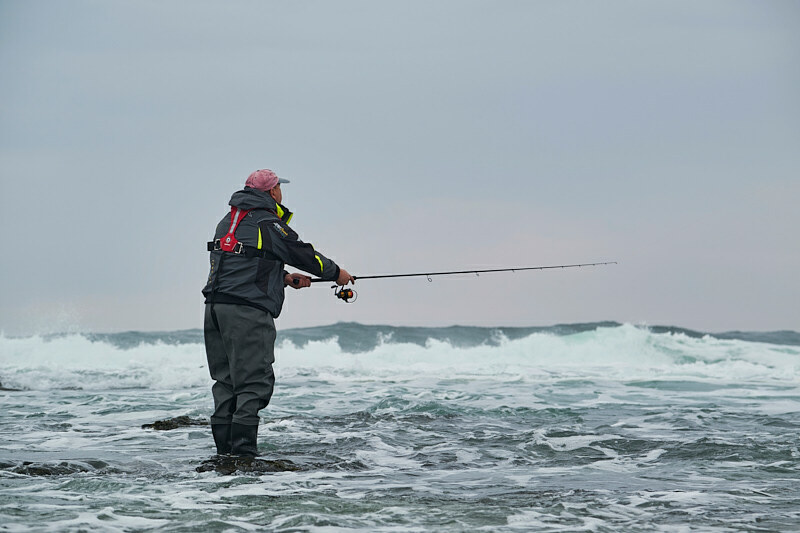 The fishing gods eh, they never let you get too big for your boots, indeed a big part of my fishing philosophy has always been to ignore those anglers who do get too big for their boots and become that most dreaded thing in fishing - an “expert”. Anyway, after last Friday’s right call and subsequent success and also how relatively early it was to be seeing bass like that, I will admit to a little bit of overconfidence perhaps. Oh how is fishing so gloriously able to bring us mere mortals crashing back to earth with a good old fashioned smack in the chops - also known as a blank! For sure it’s frustrating to catch nothing when your confidence levels are high and you fancy the tides and conditions to be pretty much spot on, but I do also feel that with my lure fishing I am always trying to invest in my future success - and if that future success requires a blank which in fact ends up teaching me plenty more about various locations and when they might or might not fish well, sometimes then I would suggest we learn more from not catching than we do when we catch a heap of fish. For sure that would have been rather nice, but I did come away from yesterday’s session having formulated some potentially crucial thoughts and ideas about the locations and how best to target them in the future. I know that I’m a bit slow to the party here, but yesterday was the first time I ever cast the 42g/6’’ Savage Gear Sandeel - holy cow it gets out there! I do often carry various jig head and body variations of this lure if where I’m going calls for a lure like this (and it’s thanks to a certain north Cornwall angler who really switched me onto these lures), but for whatever reason I have never owned the 42g/6’’ version that comes in the combo pack thing - one rigged lure plus a spare body. A lot of the time I am not bass fishing with a lure rod that’s rated to cast a 42g lure, but because of where I was yesterday, and with the conditions we faced, I had stepped up a gear to this new, more powerful Shimano Dialuna S96M 9'6" 8-45g lure rod which is fast becoming my go-to lure rod when things get a bit more serious (review to come) - paired with the incredible Penn Slammer III 3500 it’s about as sweet a “next step up” rod and reel combination as I can recall using. Damn that 42g Savage Gear Sandeel and indeed the killer 25g Offshore Head/120mm body Fiiish Black Minnow go out like missiles on this rod, but then I can turn around and (deftly?) fish a 6’’ DoLive Stick into a nearby gully just as easily on this outfit.. A big fat blankety blank it may well have been, but hell I covered some water!, and I honestly came away having clarified so much in my head with things that I am looking forward to putting into practise in the future……..